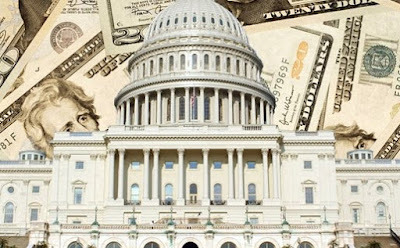 The U.S. Supreme Court’s landmark 2010 decision in Citizens United v. FEC not only gave unfettered free speech rights to corporations but paved the way for unlimited amounts of money to be poured into election campaigns, especially those of presidential candidates. However, what really made that ruling so significant was not that the Court granted First Amendment rights to corporations—formerly reserved only for individual citizens—but that in doing so, the Court legitimized an incestuous relationship between government and its corporate controllers. Although big business and government have always had intimate relations, that relationship was at one time governed by a tacit understanding that the government’s first priority was to protect the individual rights of its citizens, while corporations—private entities, separate from government—were free to concern themselves with making a profit. Unfortunately, the rise of the corporate state over the past 70 years (a development that both President Eisenhower and Martin Luther King Jr. warned against) has done away with democratic government as we have known it. In the process, the interests of mega-corporations have been prioritized over those of the average citizen. Nowhere is this emphasis on corporate profit at the expense of the American citizenry more evident than in the American Legislative Exchange Council (ALEC). A nonprofit membership organization which purports to uphold principles of “limited government, free markets, federalism and individual liberty,” ALEC is comprised of state lawmakers and corporate representatives with a mutual interest in seeing legislation adopted at both the state and federal levels. ALEC was founded in 1973 by a number of conservative activists.